July 31, 2018 – The HiLo trial aims to define the optimal serum phosphate target in patients with end-stage renal disease undergoing hemodialysis. One of the most time-consuming and labor-intensive challenges for patients with end-stage renal disease (ESRD) and their care teams is managing phosphate, according to Duke Nephrology’s and the DCRI’s Myles Wolf, MD, MMSc. Because the kidney is responsible for excreting phosphate, hyperphosphatemia – when phosphate levels in the blood are abnormally elevated – is a nearly universal complication of ESRD. In addition to the potential cardiovascular risk posed by hyperphosphatemia, excessive use of phosphate binders to lower blood phosphate levels may also lead to calcium overload and impaired appetite, which can threaten patients’ nutritional status. Clinical outcomes among patients with ESRD who are undergoing dialysis have improved modestly in recent years, but rates of hospitalization and mortality remain unacceptably high and quality of life is often diminished. A new trial seeks to answer that question. Recently funded by a grant from the National Institutes of Diabetes and Digestive and Kidney Diseases, the HiLo study will be a pragmatic, multicenter outcomes trial that compares management of phosphate to either higher or lower serum phosphate targets. The low target (5mg/dl) aligns with current standard of care according to Wolf, the study’s principal investigator, while the higher goal (6-7 mg/dl) is the intervention strategy. In its primary analysis, Hi-Lo will compare all-cause hospitalization rates between the lower and higher serum phosphate arms. Key secondary analyses will compare all-cause mortality and patient-reported outcomes. About 4,400 patients being treated with hemodialysis are expected to enroll in the 45-month study across more than 120 dialysis facilities operated by large, mid-sized and smaller dialysis organizations in the United States. Consistent with its pragmatic design, HiLo will acquire data entirely from electronic health records at the point of clinical care, supported by a bioinformatics platform built and managed by the DCRI. “By embedding rigorous research into clinical care delivery, HiLo addresses a question of great importance to patients and clinicians,” according to the University of Pennsylvania’s Laura Dember, MD, a member of the HiLo Steering Committee. Dietitians who currently work in dialysis units, rather than traditional study coordinators, will contribute to the design and implementation of the HiLo protocols. HiLo will be conducted by the DCRI and collaborators across the country, including the University of Utah, Northwestern University, University of Pennsylvania, DaVita Clinical Research, Dialysis Clinics, Inc., and others. The trial is a demonstration project of the NIH Healthcare Systems Research Collaboratory, which supports the design and rapid execution of pragmatic clinical trials. 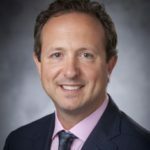 “It is gratifying to be a part of this remarkable collaboration between government, industry, academia and clinician-scientists to shed light on one of the key unanswered questions in the care of patients receiving hemodialysis,” said Geoffrey Block, MD, of Denver Nephrology, a member of the HiLo Steering Committee.